Cat and dog parents have an enormous responsibility: choosing the best food for their furry companions. But there are so many products and different types of pet foods available. There are even more diverse opinions about what is the best diet for cats. How is a pet parent to decide which is the best option to care for kitty? Some considerations to keep in mind when picking pet food are the nutrition profile, ingredients, flavor, brand, cost, and special needs of the cat or kitten in question. This article will discuss the best foods for kitties by providing information about cats' diets, different types of foods, products for animals with special dietary needs, and how certain foods are labelled. Most experts agree that the best diet for a feline should replicate what she would eat in nature. It should be moisture-rich, meat-based, high in protein and fat, and low in carbohydrates. Because cats are obligate carnivores, they need muscle-based meats as the central component in their diets. 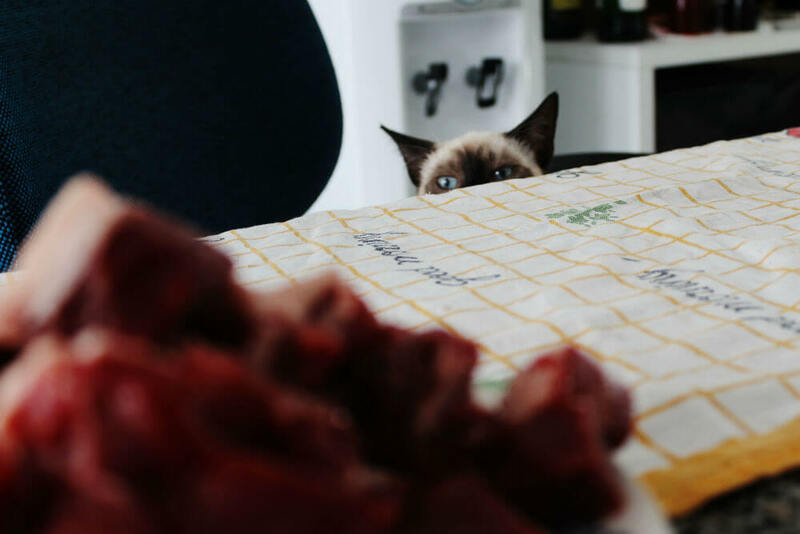 The amino acid taurine, found in meat, is essential to cats' health. 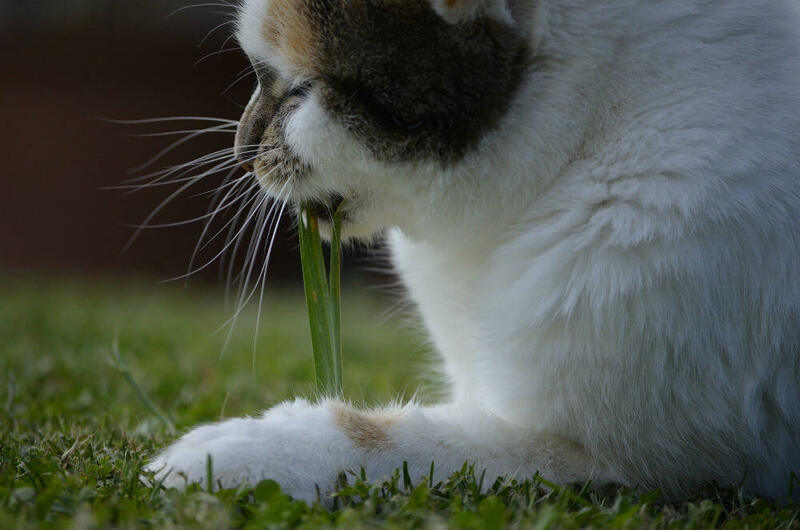 Their digestive systems are not equipped to break down cellulose found in plants (although it is not uncommon for cats to eat grass from time to time). For these reasons, high quality canned foods can be great options for food. Dry food that is high-quality, though, is a suitable alternative for your cat to chow. Just make sure she drinks plenty of fresh water to compensate. 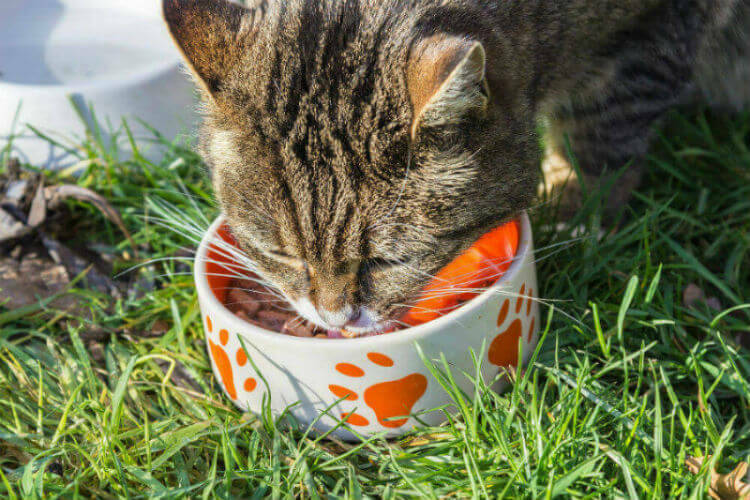 There has been much debate over different types of cat food: dry or wet food. To further complicate matters, now there is a third choice: freeze-dried varieties. While each type has benefits and drawbacks, many experts recommend providing your pet with a wide selection of food. Many people choose dry products (kibble) because it is convenient. It's inexpensive, has a long shelf life, and can be left out. Some suggest that dry varieties might also be better for a cat's dental health, although research has yet to agree conclusively on this. The problems with dry cat chow is its low water content, high carbohydrates, higher amounts of plant-based (as opposed to animal-based) protein. Furthermore, the heavy processing at high temperatures removes many nutrients. A cat who eats only dry food is at a greater risk of dehydration. In nature, cats don't need to drink a lot of water. This means that they have a low thirst drive. Their prey usually contains plenty of water, so it isn't necessary for cats to drink much in the wild. Therefore, felines eating only dry food should have ample access to water. Dehydration can lead to serious health problems, including chronic renal failure and urinary crystals. Cats who eat low-quality kibble are also less likely to get enough nutrients compared to cats eating a diet of high-quality wet products. This is because low-quality dry products often contain fillers, by-products, and other cheap ingredients. Kibble can also lead to obesity and diabetes because of high carbohydrate levels. Owners who feed their fur baby dry varieties should take care to shop around for a high quality one. They should also make sure their animal has plenty of water available to drink. House felines might particularly enjoy a fountain water dispenser, since wild kitties naturally drink free flowing water from streams. 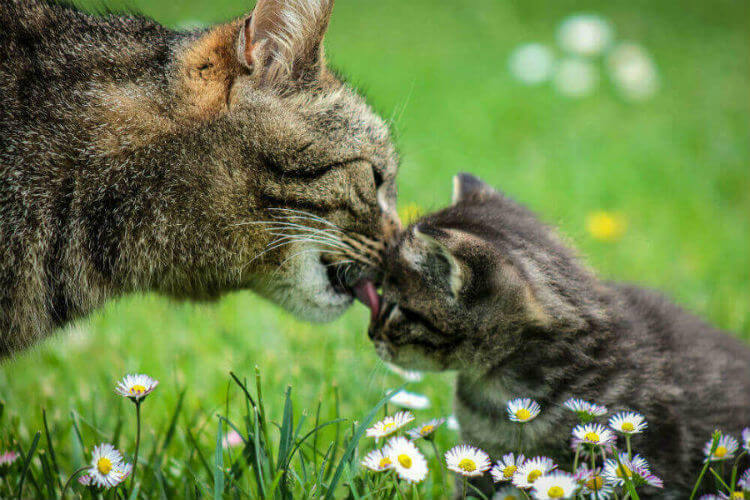 Wet products have many health benefits for cats. Its higher water content helps cats stay hydrated. The extra moisture is especially important for felines with medical conditions such as kidney disease, or bladder and urinary tract issues. To clarify, many felines do well with either dry or wet varieties. Overall, however, wet products with meat or fish as its primary ingredient is better suited to a feline's dietary needs. The overall health benefits outweigh potential dental risks. Not all wet options are equal though, so it is important to pick one that is high quality. It should list an animal protein source as its first ingredient. It should also eliminate or limit meat by-products. Today, many dog and cat owners are opting to feed their pets a diet of fresh, raw, unprocessed meat and organs to more closely mimic what they would eat in the wild. Raw food is beneficial because it is free from preservatives. It is nutritious, and good for digestion, allergy and disease prevention, dental health, and overall health. It can be homemade or bought frozen. Drawbacks are that raw diets for cats are expensive and time consuming. The food must be prepared daily and stored properly in order to ensure freshness and safety. Dehydrated and freeze-dried raw products provide a good alternative to fresh raw meat. While offering many of the benefits of fresh or frozen raw food, they are neater and easier to use. The food is frozen at the peak of freshness. Water is removed while it is frozen with the use of high vacuum pressure that locks in nutrients and flavor. Many freeze-dried cat foods are made from human-grade ingredients and come in convenient packets. Some are free from GMOs and use organic ingredients. Owners simply add water, let it re-hydrate, mix, and serve. While it is costlier and more time-consuming to use, it has a similar shelf life to dry food. Similar in some ways to freeze-dried products, dehydrated varieties are also a good choice. They are prepared by cooking over a low heat to remove moisture, a process that preserves most nutrients. In contrast, kibble is made with process called extrusion. Extrusion relies on high temperatures that cause physical and chemical changes in the food. This often results in a loss of nutritional value. Quality food products can make for a purrfectly happy kitty. Cats with special dietary restrictions will often benefit from a special diet. Reasons why a cat might need a special diet include: obesity, digestive problems, allergies, kidney disease, high blood pressure, urinary and bladder conditions, and other many other medical conditions. What can an owner do to care for a special feline? Fortunately, there is cat chow available to address a wide range of special dietary needs. Some special diets are used for a limited period of time. Others are used long term to treat chronic conditions. 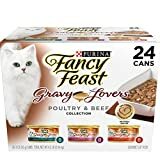 These special diets are designed with an optimal balance of nutrients in order to keep kitty healthy. Sometimes an animal might benefit from a special veterinary diet or prescription diet; a vet can recommend and prescribe these products. There are products available that are formulated to help manage diabetes in cats. Diabetes is more likely to affect overweight kitties because obesity affects a feline's sensitivity to insulin. It is more common in older cats. Chronic pancreatitus, hyperthyrodism, and steroids can also make cats more susceptible to diabetes. Diabetic food products are high in protein and low in carbohydrates. With the right diet and medical care, a pet's health can improve and the diabetes might even go into remission. A veterinarian can help owners choose the right food for a diabetic pet and may even assign the animal a prescription diet, sometimes known as a veterinary diet. Hypoallergenic products are for pets that have food allergies. Although rare in cats, food allergies can cause skin and digestive problems. If a pets shows signs of allergies, a veterinarian can do a food elimination trial to determine what protein is causing the reaction. The vet can then help owners decide on the best hypoallergenic food. Overweight pets are at risk for many health problems such as diabetes. If kitty needs to lose some weight, a weight-control product can help. To be labeled "light," the product must contain a limited number of calories per gram. Items labeled "reduced calories" or "less fat" have fewer calories than other versions of the food. If a feline is underweight, choosing a high-calorie product can be helpful. An underweight animal is at risk for several health problems. Parents who want to help their fur babies gain weight have some options. Canned foods with high protein, low carbohydrates, and higher fat content are one option. It might be a good idea to avoid foods with by-products and grains that will make an animal feel full without causing weight gain. A good balance of protein and fat is ideal for gaining weight. Limited ingredient foods are good for felines with allergies. This is because they reduce the number of ingredients that a pet is exposed to. Many include just one protein source. When choosing a limited ingredient product for allergy concerns, it is important to find one that kitty will actually eat. This might be tricky to care for picky eaters. Animals have different dietary needs at various stages of their life, and senior cat and kitten food can meet those needs. Senior and adult varieties are generally lower in protein and phosphorous. The specific formula that is best for senior felines will depend on their specific health problems, however. Varieties for kittens are higher in calories and provides extra vitamins, minerals, proteins, and fats. 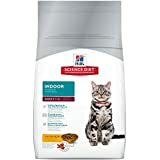 This is to help a kitten grow and develop properly. 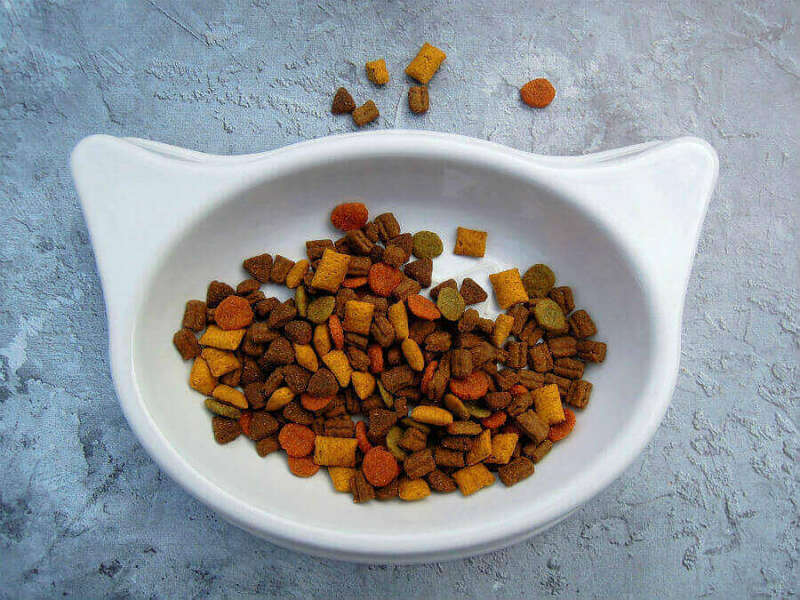 It also has a softer consistency and/or smaller kibble pieces to make it easier for a kitten to chew and digest. A vet might recommended this type of food for pregnant and nursing mothers who need additional calories. "Mom, stop, you're embarrassing me." Similarly to limited ingredient products, grain free varieties are a good option for overweight pets or those with allergies and many other health conditions. They typically do not contain corn, wheat, or soy, as that can cause sensitivity issues in some animals. These products are also usually lower in carbohydrates. Beware: some grain-free options replace grains with other non-nutritious carbohydrates, though. It is a good to read the ingredient list before selecting a food that has the label "grain free." Popular flavors include grain free chicken, deer, and duck. Urinary tract food may treat urinary problems in felines, also known as Feline Lower Urinary Tract Disease (FLUTD). Symptoms include frequent urination, urination in inappropriate places, inability to urinate, urinary pain, and blood in the urine. FLUTD can cause bladder stones, bladder infection, and a blocked urethra. These conditions are painful and can be life threatening. For FLUTD, it is important to feed kitty a food with a balanced pH level. This is because an unbalanced pH level can lead to crystals. 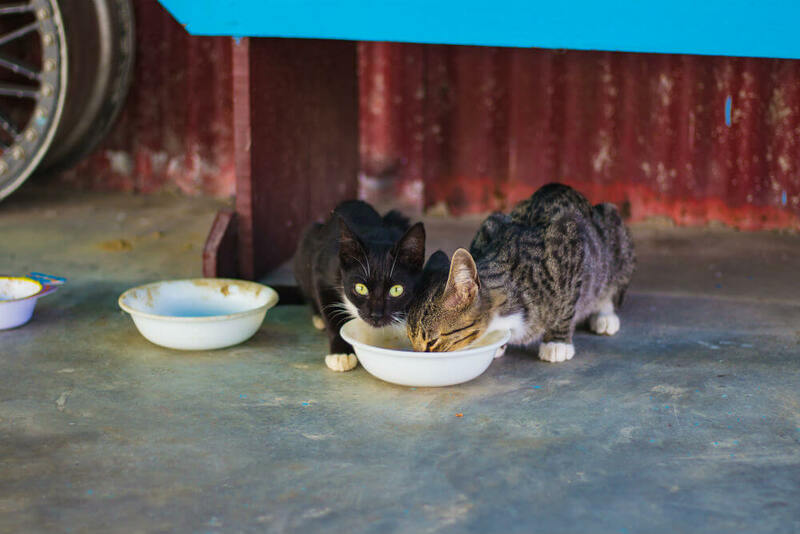 Vets also typically recommend feeding small meals throughout the day and providing plenty of water. 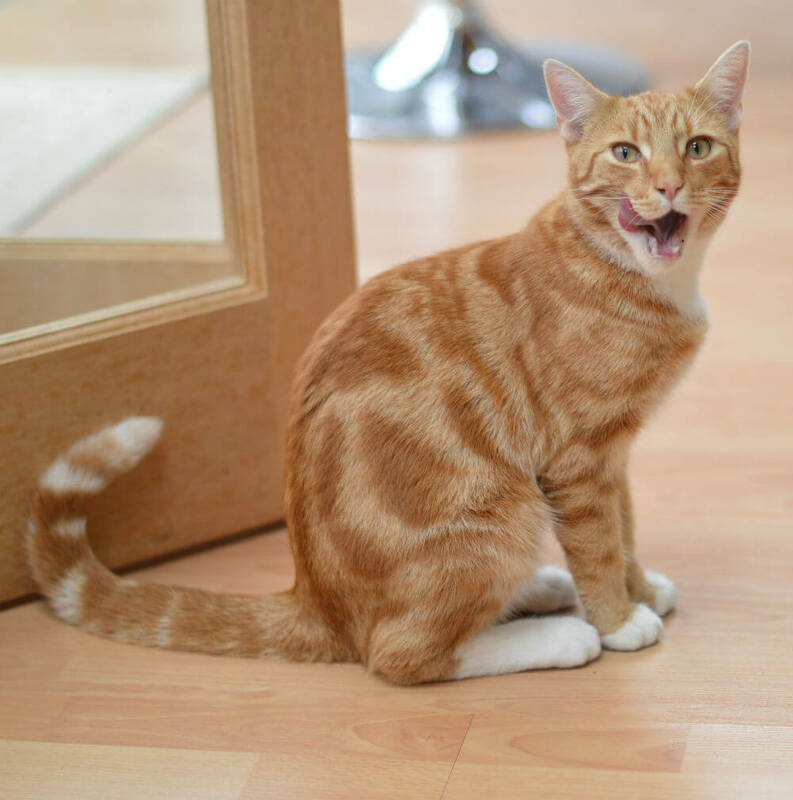 A high protein and low carbohydrate canned cat food with added water is also good for a furry friend's urinary health. Kidney disease is extremely common in older cats. As such, there are many special products designed to help out fur babies with chronic kidney disease. Cats with kidney disease cannot excrete phosphorus through the kidneys, putting them at risk for elevated levels of phosphorus. Special kidney diet products are low in phosphorus, but some cats will refuse to eat them. It is most important that a pet with kidney disease eats. Pet parents might want to try non prescription low phosphorus cat food if their fur baby won't eat special kidney diet food. Some commercial foods have relatively low phosphorus levels, so check the labels to find a good non-prescription low phosphorus product. Many people follow a natural or organic diet, and might want to consider feeding their furry friend natural or organic food as well. While there might be some benefits to feeding kitty a natural or organic diet, note that these terms are not always strictly regulated. Moreover, there is not much scientific evidence to back up claims of benefits. The Association of American Feed Control Officials (AAFCO) has defined the term "natural" just as preserved with natural preservatives, so that is all pet parents safely can assume. Many natural cat foods are made from whole ingredients, vitamins, plants, animals, and natural minerals without artificial colors and flavors. The term "organic" is more regulated than the term "natural." The USDA regulates the use of the term. They state that these foods must be grown according to certain rules. However, organic cat food can be completely or partially organic. If it is labeled "100% organic," then all ingredients must be organic, by law. If it is labeled "organic," then at least 95% of the ingredients are organic. If it is labeled "made with organic," at least 70% of the ingredients must be organic. Organic diets might help felines with food allergies because they have fewer ingredients. 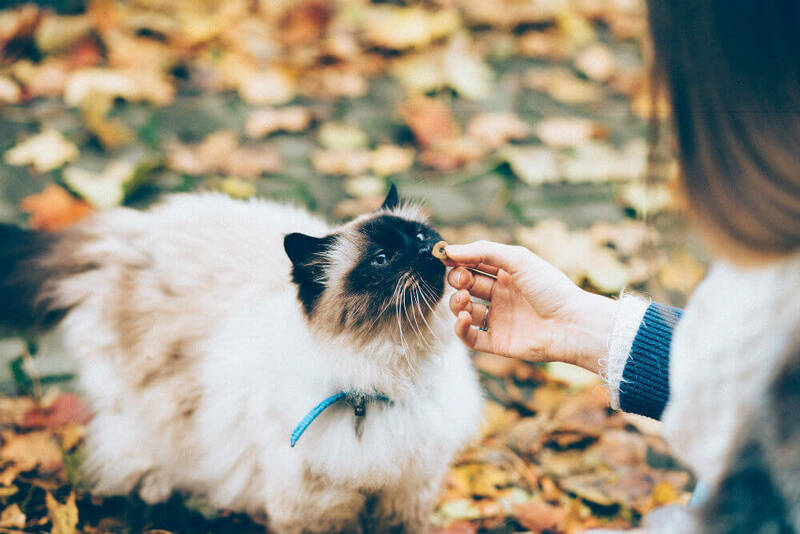 Cat owners who are concerned about environmental factors, such as genetic modification, synthetic fertilizer, pesticides, and radiation might prefer these types of foods as well. However, it is often more expensive, and most conclusive scientific research has not backed up many of the benefits. Treats can round out a pawsome diet. When it comes to choosing the best cat food, there are several factors to consider. 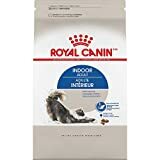 While cat food that's dry is the least expensive and most convenient in the short term, it might lead to health problems down the road if a pet parent isn’t careful. Wet or freeze-dried varieties might be better options to help keep kitty hydrated and well nourished. Special diets are good choices for animals with certain chronic medical conditions. 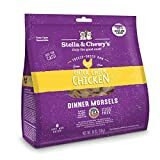 As long as pet parents choose a high-quality food that meets their fur baby's specific nutritional needs, their cat or kitten will thank them. Disclaimer:This guide should not act as a replacement for professional veterinary care or advice. 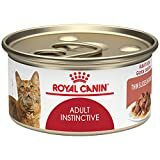 Any specific concerns about pet food or a specific animal's nutritional needs and whether she would benefit from something like a prescription diet should consult a licensed professional.